Summer has turned to fall, and soon, fall will turn to winter. As a result, Massachusetts is taking steps to make sure it's not déjà vu all over again when it comes to public transportation. Gov. Charlie Baker and MBTA General Manager Frank DePaola inspected some of the T's new third rail. Nearly 10 miles of it should be in place on the Orange and Red Lines before the first snow of the season. The governor and other state transportation officials visited an MBTA yard in Dorchester to talk about what's been done to avoid the same kinds of problems the organization experienced during last year's historic winter. In all, $85 million has been invested in the offseason to make sure the subways and commuter trains are more reliable for the winter of 2015. The new third rail, which will improve electrical connections, is only part of the fix. Switchers on tracks will be heated to keep them from freezing and trains on the Red and Orange Lines will be outfitted with plows. The MBTA is also stepping up the way it tackles storms and plans to improve communications with passengers when the snow starts falling. The effort to reassure people about the MBTA's performance this winter comes one day after a financial control board said the T's finances are unsustainable. 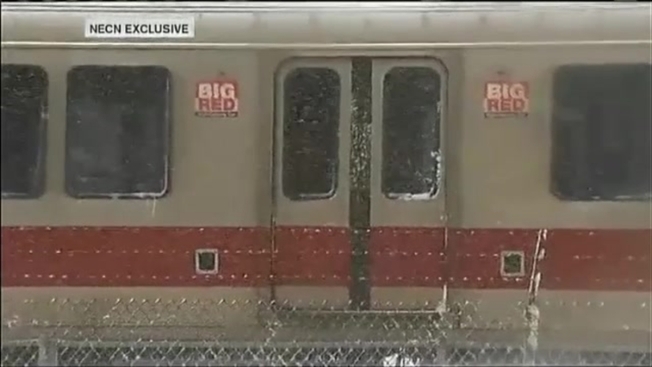 Necn asked if DePaola can guarantee his customers that this winter will be better than last. "I guarantee, otherwise [Gov. Baker] fires me," he said said.